Refugees in Rhino Camp settlement have called on Ugandan’s President to engage South Sudanse leaders to pay them visits at the various camps as part of their commitments towards the implementation of revitalized deal. The refugees said they would return home as soon as possible if they were first assured of permanent peace and stability by all signatories. According to John Pen De’ Ngong who is the program coordinator of the Network of South Sudanese Civil Society Organizations in Uganda (NoSSCOU), who spoke to Juba Monitor on Saturday in Kampala, the refugees were willing to be educated on the proper status of the revitalized deal by the parties’ not just civil society network. “I went with some people to Rhino camp; we spent the whole day talking about the revitalized peace agreement and community dialogue. But what was featuring out from the refugees across the camp was that they don’t want miserable refugees like John Pen to talk to them about the agreement though I was part of the signing ceremony.” Mr. Pen explained. According to Pen, the refugees doubted the current peace deal during their peace campaign in Rhino Camp, stating that the refugees were asking if the deal was not going to be like other violated agreements which were signed before. 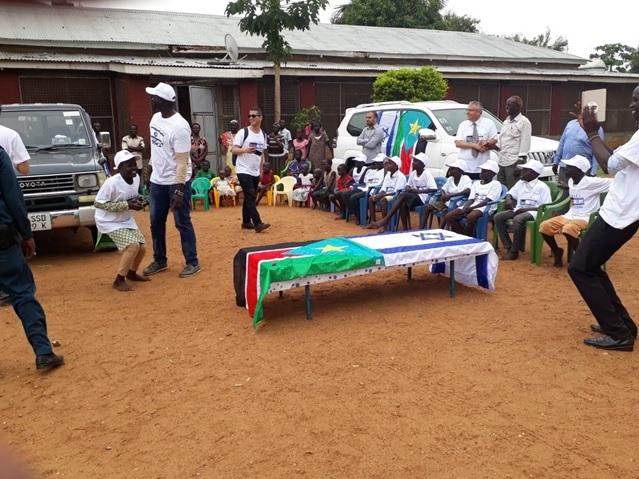 “They said that they want people who signed the peace deal especially parties’ leaders mainly Salva Kiir and Riek Machar or their representatives to come all the way from Juba to the camps and tell them if this time they meant a real business,” Mr. Pen further narrated. The activist revealed that the refugees made the call during the dissemination campaign of R-ARCSS last week at Rhino Camp of Arua district in Uganda. Mr. Pen stated that he had conveyed the information to the government of Uganda through the media but the feedback was yet to be confirmed. According to United Nations High Commission for Refugees (UNHCR), Uganda hosts raptly over one million South Sudanese as refugees in its localities.